Whenever life fills us with bad news, always look for a silver lining. If you guys didn’t know, Marvel comics creator Stan Lee recently passed away yesterday. 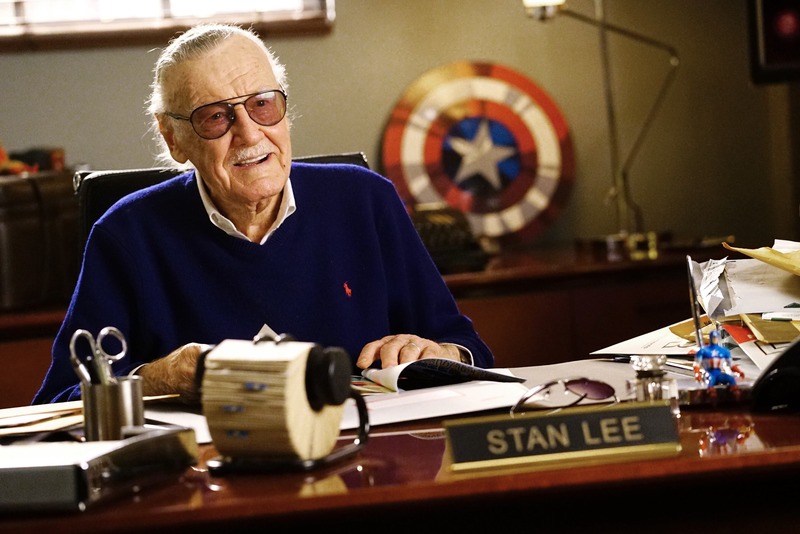 Stan Lee has worked with well known comic artists and help create characters like the Fantastic Four, Spider-Man and Black Panther. He is also well-known for being a cameo and appearing in random scenes in Marvel movies. This includes movies in the MCU (Avengers, Guardians of the Galaxy and Dr. Strange), Fox Marvel (X-Men, Deadpool and Fantastic Four) and Sony (Venom, Sami Raimi Spider-Man and Marc Webb Amazing Spider-Man). Even though he is gone, it appears Stan Lee might make one more appearance in a Marvel movie in 2019. It’s reported by IGN that Stan Lee will appear in the upcoming Avengers 4 movie. It’s noted that they were able to film him before his passing and fans will be able to see him when the movie comes out. The Avengers 4 movie will be released in theaters on May 3rd, 2019. Correct me if I am wrong or I missed something, but I am unsure if he’s going to be in Captain Marvel or Spider-Man: Far From Home movies. Hello anime fans! I got some interesting news for you if you are interested on binge watching some anime. If you didn’t know, the anime companies that were partnered up Funimation and Crunchyroll were split up after two years of working together streaming anime and selling home videos of anime. The result of this partnership helped Funimation dub some Crunchyroll licensed anime into English Dub and helped sell home videos and the same time brought anime from Funimation to Crunchyroll to be streamed. But now that these two powerhouses are separated, here is some news in regards to your favorite anime. Funimation announced on Friday that they will be adding 300+ anime in subbed format to their list and will be available to anyone with a FunimationNow account. I am not going to list all of them, but anime like Baka and Test, Black Butler and Cowboy Bebop will be added as subtitled anime. If you like anime from Funimation, but preferred anime in subtitles, now you can enjoy it your favorite Funimation shows on your account. Previously mentioned, Crunchyroll and Funimation teamed up and released English Dub on certain anime titles. However, after being split, these English Dubbed anime from Crunchyroll will still be intact and won’t be affected. Crunchyroll anime like Berserk, Taboo Tattoo and Masamune-kun’s Revenge will be safe and will be available in both Crunchyroll and Funimation platforms. These anime will also be in subtitles for viewer preference. Donate a dollar a day to help my website grow and become a great source of anime and other entertainment. She's fabulous, but she's evil. Your home base for engaging literary exploration through pop culture. If you have a literary device you're having trouble with, you've come to the right place! #1 Destination for Anime News, Reviews, and Discussions! Reviews for teens and adults on their favorite books, TV shows, and much more! For Fiction, Short Stories, Essays, and the like.